If you need a foam roof repair in Anthem, Arizona or any surrounding city, we will come out and inspect your roof to determine what the project will entail. We provide expert recommendations and a customized solution to your specific project. We will also provide you with a free consultation, problem identification, budget planning, proposal review and acceptance, scheduled installation and a final inspection. 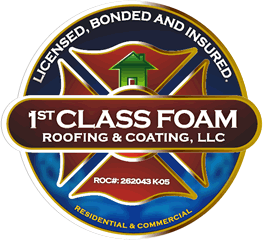 We only use the highest quality materials and our technicians are trained in the proper method of foam roofing system applications. We are your Anthem Foam Roof experts. Our foam roofing systems are guaranteed to last a lifetime. Everyone of our technicians is trained on the most current and correct application for each types of foam roofing systems. Sprayed Polyurethane foam roofing meets building code requirements and is even considered a form of energy efficient green construction. A foam roofing system that is correctly installed will last much longer than any other roofing system. We can help you determine if a foam roof is right for your Anthem home or business and are happy to install your new foam roof.